Women of the Blue and Gray tells the true stories of women on both sides of the Civil War who defied gender norms and were social pioneers despite the strict Victorian mores of the time. Although I had some knowledge of womens’ involvement in the American Civil a la nursing and spying, Marianne Monson bought to light so many more women with incredible stories. On both sides, there were women who disguised themselves as men to fight, women who were actual doctors and worked hard to be recognized for their work, spies, nurses, and even an unofficial advisor to President Lincoln. Monson doesn’t just tell the stories of white women, but also those of African American women (free and enslaved) and Native American women. It is also important to note that Monson does not glorify the women who dedicated their skills to the Confederacy, but rather presents them as women struggling against their times. Although some of their actions were admirable and what they suffered was terrible, they still fought for the Confederate side. That said, Monson suggests that all vets deserve our respect as a nation because American reunified after the conflict. Many of the women who doctored, nursed, spied, or fought carried on their own war after the Civil War was over and into Women’s Suffrage. Many had to continuously advocate for themselves for their work and service to be recognized by the government in order to get a pension. Some who had served as doctors during the war were frowned upon because such a profession was still very much reserved for a man. There were a few successes, but many of these incredible women did not receive recognition until long after they’d passed on. I was particularly struck by the stories of African American Women and Native American women. Although their struggles were threefold, they still achieved amazing feats. 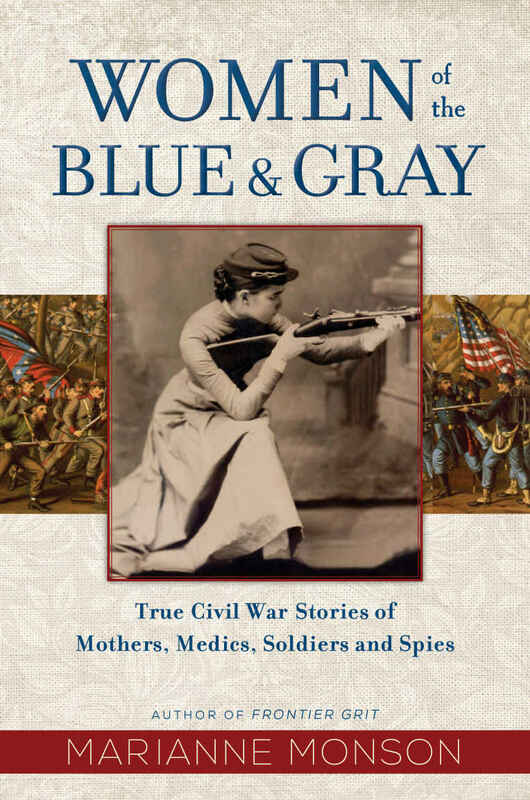 If you’re interested in the American Civil War, or even if you have a casual curiosity, Women of the Blue and Gray is a fairly short, informative, and fascinating read. Monson also writes in an easily accessible and vivid way. There is so much to learn and be inspired by.